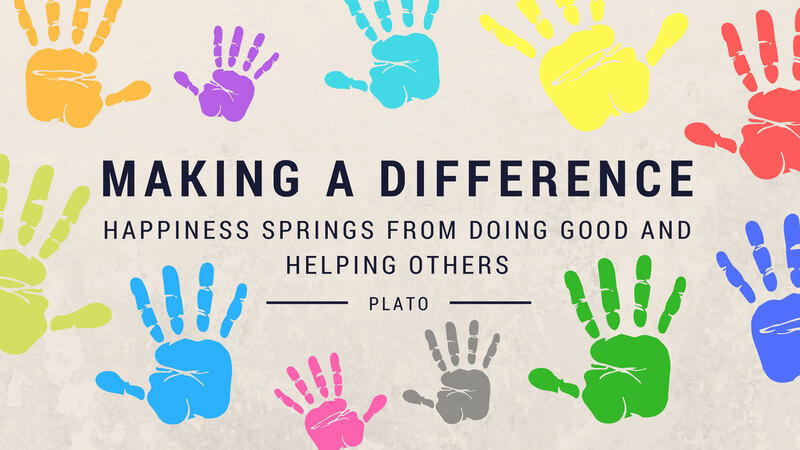 Our team tries to apply the philosophy of ‘Making a difference’ to everything we do, and we were surprised how much happiness it brought us. Apparently, it also makes us healthier. Giving to others connects us with other people and helps us build stronger communities which helps even more people. You don’t have to give money – you can give time, your expertise or even your attention. Sometimes, these have more value than money. Scientific studies say that giving to others not only boosts our own happiness, but also increases our satisfaction in life, improves our mood, reduces stress, and increases feelings of competence…and it can be contagious. When people see someone engaging in an act of kindness, they are more likely to be more generous themselves. We have three specific charitable events each year, all in support for the Salvation Army, an organisation that does a huge amount of work in our community to help those less fortunate than ourselves. 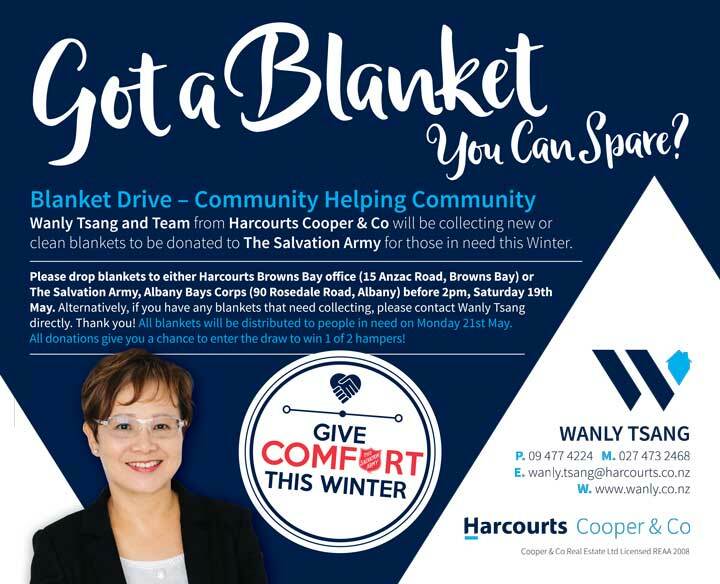 As winter approaches, we run a blanket drive for the Salvation Army. Over the years, we have sourced hundreds of blanklets that the Salvation Army uses in their outreach programs that work with the homeless and families in need. We invite our clients annually to join us for a special dinner and charitable auction to raise money for the Salvation Army. Last year, we raised $12,800. Leading up to Christmas, our office becomes a drop-off centre for people to donate gifts that the Salvation Army can distribute to those in our community who may be having difficult times during the holiday season. Our friends in the community help us make a real difference in people’s lives. Thank you to all our clients and friends who have helped with our community events and fundraising efforts…it has made the North Shore a happier community!